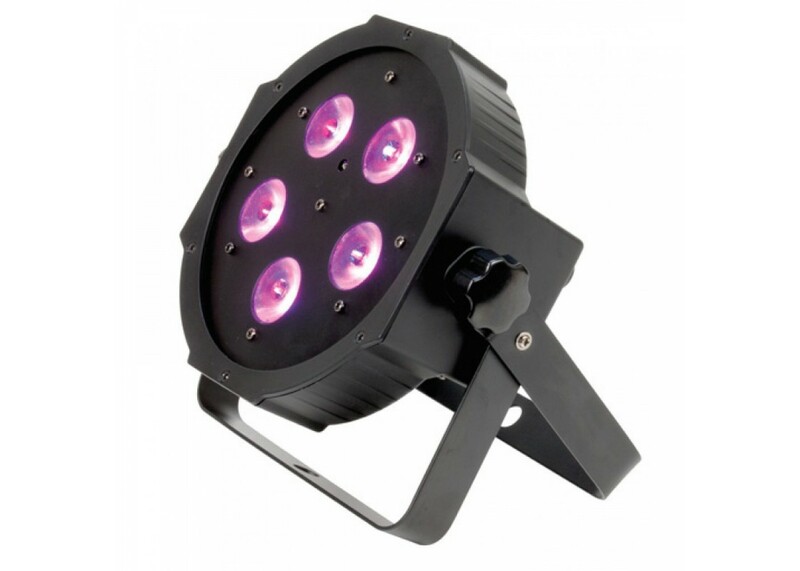 The American DJ Mega Tripar Profile is an ultra compact, low sleek par designed for uplighting and stage lighting. It will bring excitement to any party. This particular par has a unique "Sit-Flat" design so it can go directly on the ground or be mounted virtually anywhere on a wall. 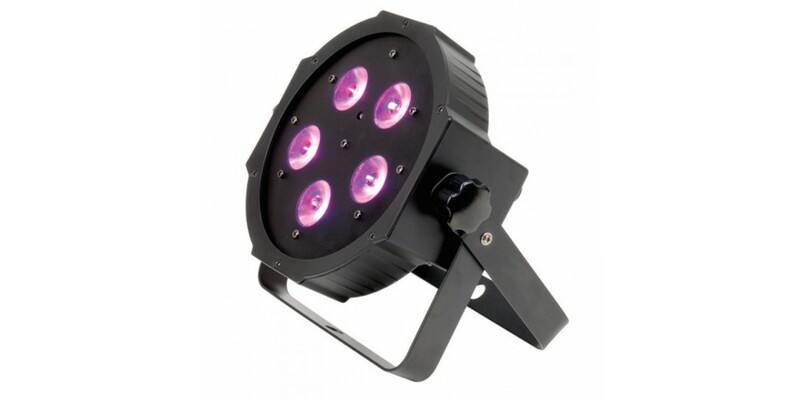 The ADJ Mega Tripar Profile features 5x 3-Watt, 3-N-1 TRI LEDs. These give off a nice color with its smooth RGB Color Mixing. There is also it's 40-degree beam angle, 5 operational modes (including DMX, Sound Active and Master/Slave), and the 7 DMX Channel modes for easy programming. Users can also use the ADJ LED RC wireless remote, which is sold separately, to control the Mega Tripar Profile. Get the most out of your stage lighting with the Mega Tripar Profile. Control the 32 built in color macros and make sure that the lights match the music. With the long 50,000 hour LED life you don't have to worry about the lights going out on you, so go with the quality and durability of the Mega Tripar Profile from ADJ .